Welcome to your definitive information source dedicated in helping you learn archery and what you need to do step by step to be good at this enduring sport. Whether you are a beginner, an intermediate archer or a high performance competitive athlete you will find the answers to your questions right here. We have covered every aspect of this exciting sport for you. Each section is designed so you can quickly find what you are looking for. The information is arranged in easy to follow, simple step-by-step lessons to end all of your frustrations and ensure your success. Are You New To The Sport Of Archery? Learn-Archery.com has compiled for you the best information available today. No fluff or gimmicks! We cut the fat and provide straight forward information that helps you become well-informed and successful in a short time. Unlike other sports, archery can be very hard to understand and reliable information can be hard to find. Learning how to shoot the right way is more than simply slinging arrows at a hay bale. 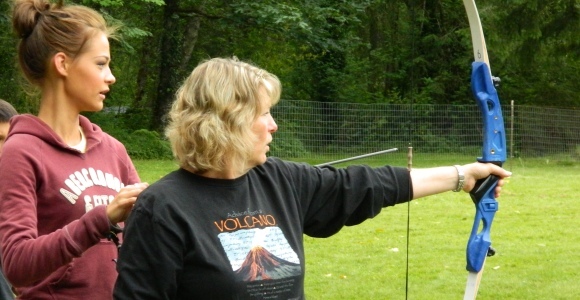 There is a practical method to teaching and learning archery and you will find all you need to know right here. We don't skip the important stuff, but instead we break it all down into simple terms and short lessons that are fun and simple to learn. The goal of Learn-Archery.com is to provide the real meat and potatoes that will help you get on the right path to success today. Are You Tired Of The Never-Ending Internet Search? Every day thousands of people like you spend countless hours in search for answers to their questions on informational sites about archery for beginners. On Learn-Archery.com we have re-authored the best information available and put it into simple terms, making it an authoritative compilation of relevant information for modern-archery. Hello, my name is Coach Will and if you are like me you are tired of scouring the internet looking for answers to all your archery questions. If you are fortunate to find what you are looking for then you are left questioning the validity of the content. After having instructed countless youth and adult archers and answering the same questions hundreds and hundreds of times, I went looking for a single information source that I could direct people to for help. I could not find what I was looking for OR the information was outdated OR just plain wrong. Sure, there are a couple of other archery websites dedicated to the sport, but they are incomplete, unorganized or marginally useful. Still today, I am contacted by people I have never met who were looking for advice and answers. People will approach me at tournaments, during my archery classes or private coaching sessions to ask the same questions. I found myself repeating the same information over and over. I became so overloaded with questions; I needed to solve the problem of being able to answer them all. Thanks to Learn-Archery.com I can now answer all the FAQ's, and I don't have to turn anyone away. My goal was to create a single source where people like you can come to find all of your answers within a well-organized website. If by chance you do not to find what you are looking for, then by all means please let me know. What Can You Expect To Find On The Pages Of Learn-Archery.com? Tips and tricks from top Archers, Coaches and instructors including recent developments and breakthroughs on proper archery form and shot execution. Are you looking for your first bow or you want to upgrade to an intermediate or professional level equipment? How about equipment setup and troubleshooting? We cover the entire gamut regardless of your skill level or experience. Below you will find easy to follow information that is categorized and broken down for beginner, intermediate and advanced competitive archers. 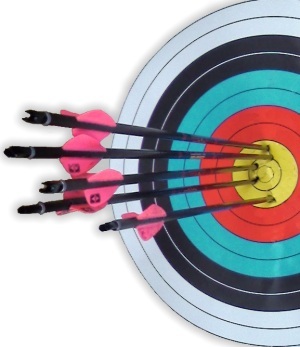 What are the 10 Steps to Archery Success? Why do others say there are 8, 9 or 12 steps to Archery? Archery is supposed to be fun - why so technical? I've got the Yips - Now What? How to select your beginner arrows - coming soon! Like any other sport, archery can be many things to many people. It does not matter if your goal is to have more fun, improve your shot execution, raise your scoring average or make it to the top of the podium. Our objective is to help you derive the maximum pleasure in your chosen sport by providing real information that helps you achieve your goals. Want To Become Better At Bow Hunting? One thing you will notice about Learn-Archery.com is that our focus is on...well, archery. My philosophy is that you have to be a good archer before you'll ever become a good bowhunter. 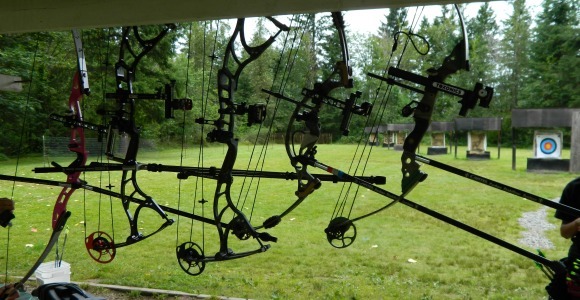 While your bow hunting equipment may be configured or setup differently than Target Archery, everything on our website is relevant to recreational archers, competitive archers and hunters alike. In other words, the main emphasis for Learn-Archery.com is helping you to shoot well no matter what discipline you choose. Is Your Interest Strictly Target Archery? For those of you who enjoy Target, Field or 3D Archery you will find straightforward answers from equipment selection to setup and bow tuning. If you are a novice you will find straight forward information and instructions that you can use right now. If you are a competitive target archer you will gain insight that enables you to instantly improve your shot execution and increase your average score before your next tournament. Regardless if you are a novice archer or a competitive archer you will find what need right here. Are You Interested In Traditional Archery? The appeal of traditional bows and arrows and times of yore will never change. The enthusiasm for learning about the times gone by and how to shoot a longbow is as enduring as the historical landscape where ancient battles were won and lost. 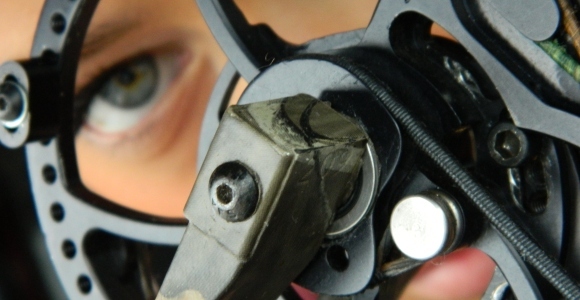 While our purpose and goal is to teach about today's modern-archery equipment and shooting technique you will find exciting details about the archery artifacts that lead to the rise and fall of many nations before they were replaced by the advent of gunpowder. What About Professional And Elite Archers - What's In It For Us? Even the best can suffer frustration and most often they realize they are in a rut too late. Usually just before or in the middle of an important tournament. Learn-Archery.com takes you beyond the basics and provides the nuts and bolts that help the elite athlete overcome the mental anguish that can topple them off of the podium. All too often I witness athletes throw a good game away for no apparent reason. They had the medal in their reach but failed to finish well. A clean victory is only two arrows away, but in the final crunch they subconsciously allow the GOLD to slip through their fingers. It is discouraging to learn that they prepared physically, they invested time to train on the shooting line, the equipment was properly tuned and they had what they believed to be a realistic goal in mind. Their only mistake was they failed to put on the "proper game-face" and forgot the importance of playing a good mental game. Learn-Archery.com started by providing the basics. Now we go further beyond anything that anyone has ever offered online by providing genuine and in-depth information that helps you become mentally prepared and remain tough...even in the most grueling tournaments. Like any other sport or endeavor, success does not just happen overnight. Also, it is not enough to simply hold fast to the practice, practice, and more practice mentality. Shooting 1,000 arrows in a single week will not make you a better archer than someone who shoots only 100 arrows a week. You know "how to practice" you cannot expect to shoot higher scores. Think of Learn-Archery.com as your remote instructor and performance coach. We will continue to add and improve the information to help you train smarter rather than working harder. If you're a beginner, recreational or high performance archer you came to the one place that will lead to higher scores and a more enjoyable experience. From an observer's perspective, archery appears to be a fairly straight forward and simplistic activity...right? It's true...anyone can pick up a bow and send an arrow down range with reasonable success. If you do not become familiar with some of the basic archery techniques it is likely you will soon suffer from a badly bruised forearm and experience shoulder or back pain. At this juncture most folks become discouraged and simply give up. Some are fortunate enough to make it through the early learning stages on their own, but are left wondering why they cannot place the arrow on the 10 spot time after time. For some people, the archery equipment eventually ends up on Craigslist or E-bay or even worse...part of the sporting goods collection stashed in a dark corner closet as a gentle reminder of recent failures. The sport quickly becomes shrouded in mystery because they cannot comprehend the basics. These are the type of people who end up labeling archery as an obscure and uninteresting sport. So many people have told me personally that they tried archery as a kid, at a camp or in school and have quit because they just were not any good at it. Yes, this sport looks simple - many have tried...unfortunately many have failed. Well, the answers probably are not the fault of the archer as much as it is the failure of the instructor or camp leader who neglected to teach proper shooting form and technique. Many "would-be" archers are left discouraged and unsatisfied due to poor instruction. 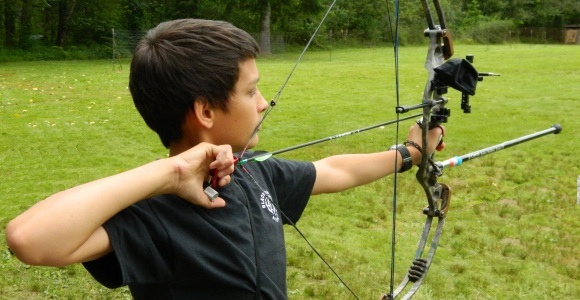 Learn-Archery.com will be adding a section dedicated to instructors and new coaches who lead a youth archery program such as 4H Shooting Sports, NASP, Camps, Scouts or JOAD. Our mission is to help you as an individual and also to help instructors improve their programs so everyone can realize more positive outcomes. In turn, this will produce a higher level of satisfaction, maintain higher retention rates and turn out more "Life-Long" archery enthusiasts. While it is strongly recommended that you become involved with a local club or association with skilled and certified instructors, I understand that isn't always possible. The essential information found in these pages is categorized for beginner, intermediate and advanced archers. You will also be exposed to many other benefits of this amazing sport. If you are completely new to archery and your trying to figure out what equipment is right for you OR you want to start learning the 10-Steps-to-Archery click on one of the links below and let's get started today. Ready to purchase your first bow but you are not sure where to start? ...Hope to see you on the shooting line! If you are new to this sport you may be anxious to get a bow and arrow in hand, but if you overlook the safety section you could find yourself damaging property, breaking a law or injuring yourself or others. Please keep in mind that archery is a shooting sport and many states consider bows and arrows to be a lethal weapon regardless of type or style. The moment you pick up a bow and nock an arrow you are liable for what happens next. Before you shoot your first arrow check the law for your specific area. There is a good chance that your municipality does not permit the use of archery equipment within the city limits.